16-year-old Alex is a misfit, a school drop-out who has been using drugs and cutting herself. For the summer her mother sends her to a farm with stables. Alex misses the city but gradually bonds with the horses. However when posh Kathy arrives at the farm, Alex instantly dislikes her. Nevertheless they gradually become friends until one weekend things spiral out of control. 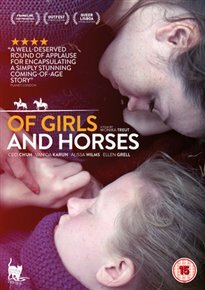 A coming-of-age story with horses set in the stark windswept beauty of the coastal region between northern Germany and the Danish border.